Northrop Grumman’s L-1011 Stargazer is being readied on Oct. 14, 2018, at the Vandenberg Air Force Base hot pad. The company’s Pegasus XL rocket, containing NASA’s Ionospheric Connection Explorer, or ICON, is attached beneath the aircraft. 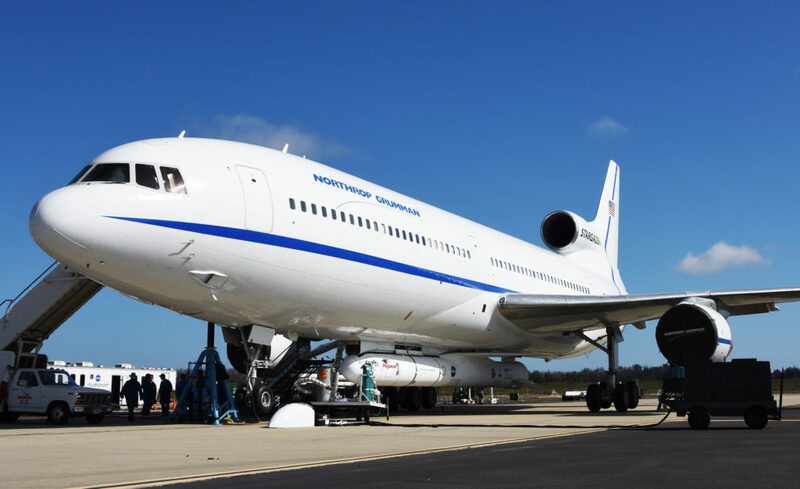 NASA and Northrop Grumman completed a test flight of the L-1011 Stargazer aircraft from Cape Canaveral Air Force Station in Florida on Sunday, Oct. 28. Carrying Pegasus XL and NASA’s Ionospheric Connection Explorer (ICON), the 4-hour, 45-minute flight tested the aircraft’s systems prior to launch. A new launch date for the ICON mission will be determined after the team finishes processing and reviewing the data.